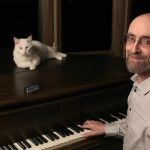 World-renowned pianist George Winston is known for many things, including his own style of melodic instrumental music on solo piano, called “rural folk piano” or “folk piano,” a style he developed in 1971 on the Stride piano, inspired by Fats Waller’s music from the 1920s and 1930s. Winston is also known for New Orleans R&B piano, interpretations of music from the Peanuts television specials, compositions for guitar and harmonica, and soundtracks for books read by Meryl Streep and Liv Ullmann, among others. Don’t miss this rare chance to hear him perform in our intimate, acoustically stellar Great Hall! Complimentary refreshments.